There is a huge amount of anticipation around. Just do a Google Search. That's how marketing works now - online hits. If that is the case they are doing a horrible job. Beyond these enthusiast forums nobody has noticed. Those Moab runs are super easy. Can run them in 2wd. The traction is very high. The fact that they were lifting wheels and losing traction shows how poor is the basic design. Would you not agree that the unusually large amount of press articles would have gained significant out of forum attention? Everyone that buys these magazines or subscribes to these websites would be paying attention to these articles. 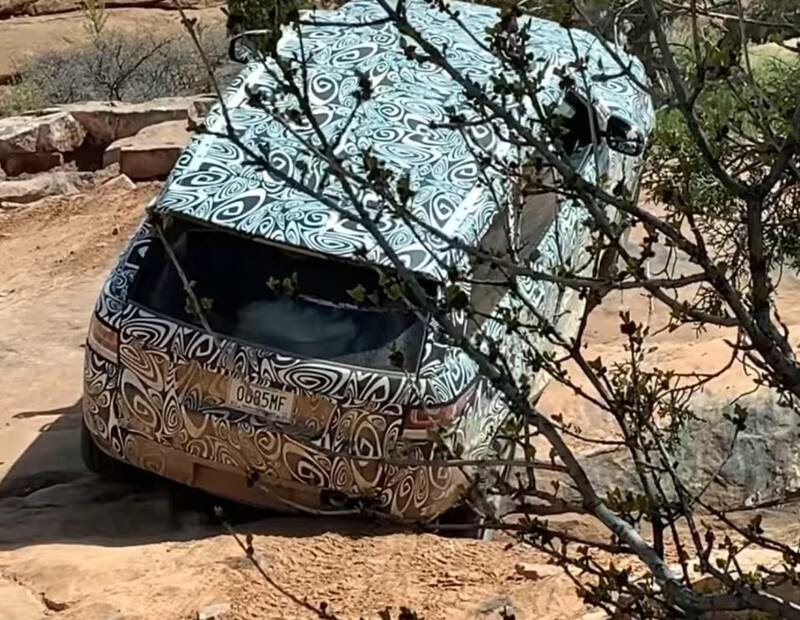 From what I have seen, the press is saying that it is one of the most, if not the most anticipated release of 2019, which is pretty cool for us Land Rover fans. I don't remember any videos showing lifting wheels and even if they did the most extreme modified 4x4s in the world lift wheels if the circumstances are right. I'm optimistic and hoping for it to be a success, I'm not hoping it's a failure. Agree.....I mentioned it earlier, the Moab footage posted here and SUV would drive it including my hi-lux. Every reason why they were running a road/mild tyre and didn’t bother with tyre pressures. Yep, Land Rover have handled the whole circus poorly. My guess is they were running Road pressures and factory tyres as that's how they test them in all scenarios, so that they don't have to put in the manual you must reduce your pressures before entering trail ( we all know you have to drop them for soft sand though) I wonder whether they test in Dubai on for pressures? Are you saying any SUV would be able to drive golden spike? 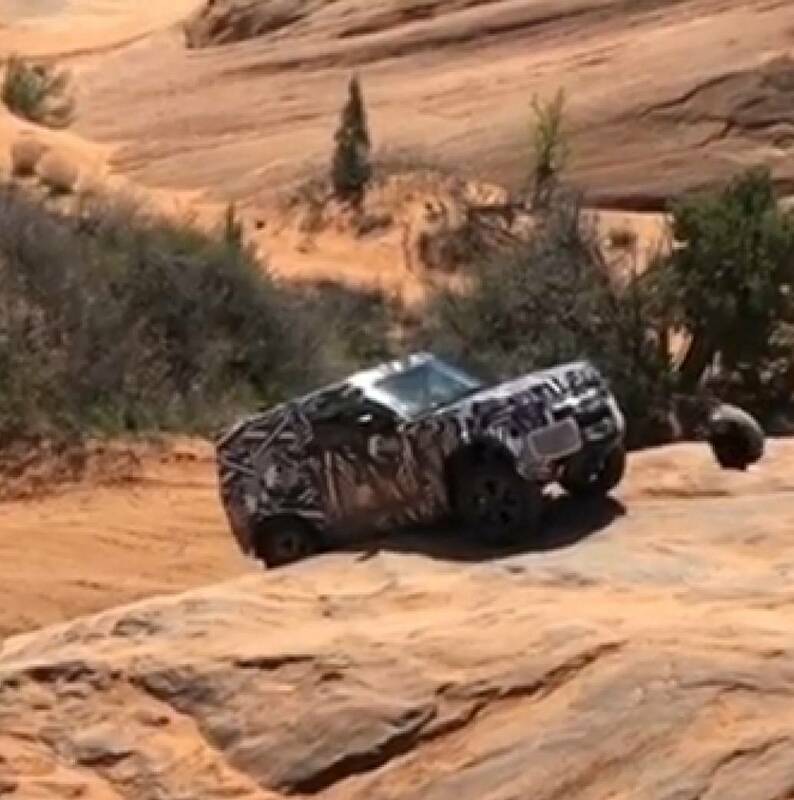 Attached some photos from the latest moab vid and others found. I found it interesting to note that in every shot they are taking the hardest line not just ticking off the Trail so to speak. Apparently they were there for two weeks tuning or calibrating the cars. So they can say, how they give it to you out of the factory it's ready to go, just left the current Defender. From what I have seen so far off their drip feed slow release marketing campaign, it's working just as intended. And showing it's capability before the wrap comes off is also smart Move. They were driving 3 wrapped 110s with loaded trailers in peak hour in the UK the other day. They know what they're doing and they're doing a very good job. Interesting as a Land Rover fan myself why would it be funny if it "turns to flop"? It's funny the two locations he wants to see the Land Rover driving is the two they have been spotted on. LSD in the back and pick your line and it's amazing where you can go with 2wd. Anyone that was around a few decades ago remembers how well stock VW's would do that would have Series Landie's struggling, or good old 2wd F100's with a Detroit in back going most places a Land Cruiser would.